What's made of 12,650 tons of concrete, is sixty feet high, doesn't have any windows, was built by Nazis, and sank into the ground seven inches in three years? And why does it exist? A Großbelastungskörper. According to Google, it translates to Large Body Burden. According to Dark Roasted Blend, it's a Big Dumb Object. The official Nazi name back in 1941 was Schwerbelastungskörper or Heavy Load-bearing Body. You are probably asking yourselves why did the Nazis build this dumb thing in the middle of Berlin. Maybe to hide secret weapons? Is it the top of a secret ultra-heavy bunker to hide Hitler and his minions? The doorway to Nazi hell? The answer is much more obvious—and sounds sillier—than that. 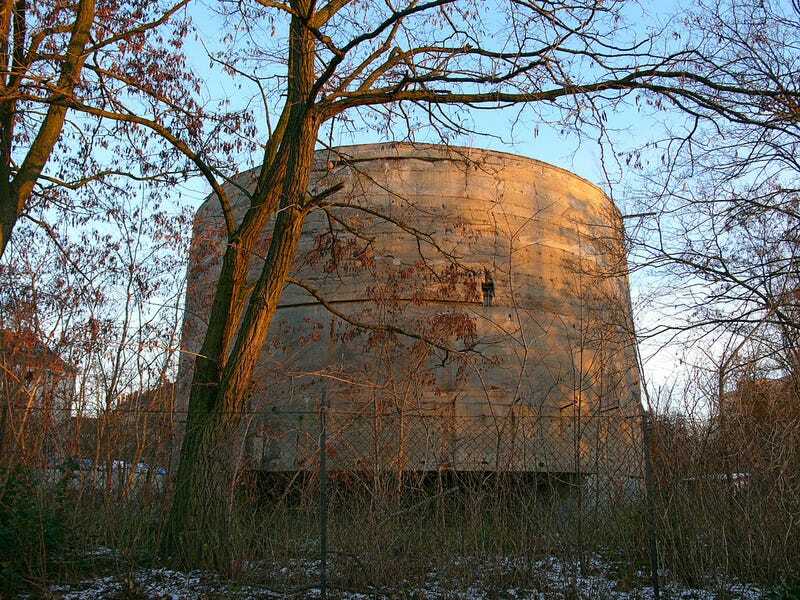 The schwerbelastungskörper was build to test the sustaining power of Berlin's muddy ground. Hitler and Speer wanted to build their colossal Welthauptstadt Germania—which the crazy cuckoos thought was going to be the "capital of the world"—over Berlin. The buildings were going to be gigantic, with the center of the city dominated by the Volkshalle, a building modelled after the Roman Pantheon which followed their favorite "stripped classicism" style—which basically mimicked Roman and Greek architecture, without most decorative motifs and in a gigantic scale—in the most monumental way possible. The Volkshalle (or Hall of the People) was planned to be 700 feet high and 800 feet in diameter, a whooping sixteen times the dome of St. Peter's cathedral, in Rome. As you can imagine, the weight of these concrete and stone buildings was going to be so big that they needed to test the grounds first. This dumb object—as dumb as their creators—was the test which was going to tell them how much foundation the new Berlin was going to need. The answer was a lot more than they thought: The concrete block sank seven inches in three years, rather than the maximum of 2.5, so they were going to need a lot more work than they originally thought of. Much like the rest of their crazy ideas.